The ultimate master is my customer: this is the mantra of the worldly, chatty chef of this exquisite yet no-fuss sushi restaurant. Ginza is filled with sushi eateries but the Kanesaka experience of classic sushi in a friendly atmosphere should not be missed. 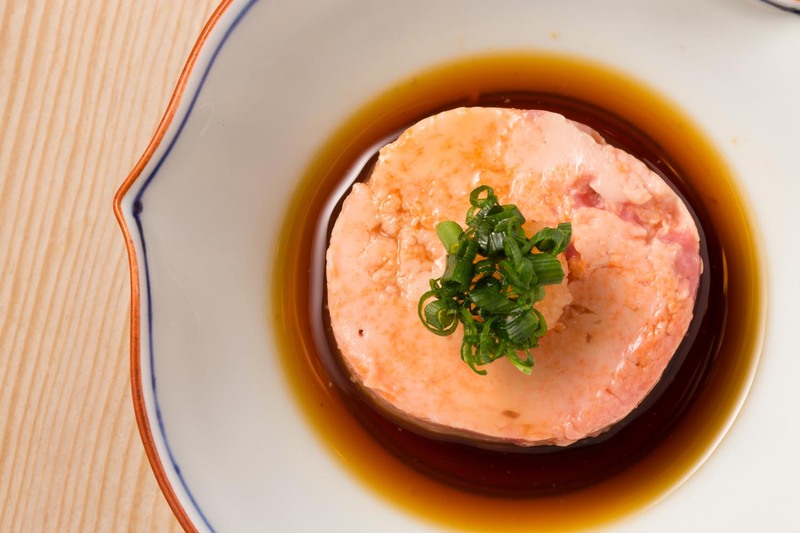 You might not follow all the Japanese fish names and you may worry about handling one of the collector’s item dishes, but the Kanesaka “family” makes every guest feel like they belong because they want you to taste the life and love they put into it all. And when you savor the sublime flavors, you will know just what that means. Follow the meandering stairs down to the lower ground floor, brush through the deep red noren curtain, and step into a comfortable space decorated with exquisite pottery pieces and seasonal motifs. It is surprisingly spacious but cleverly laid out to create an intimate seating feel and allow for conversation with your sushi chef. Cool marble with warm timber, smooth counters and walls but a textured woven straw ceiling, a magnificent vase holding the dark branches and delicate buds of a plum tree – the space is a series of harmonized contrasts. 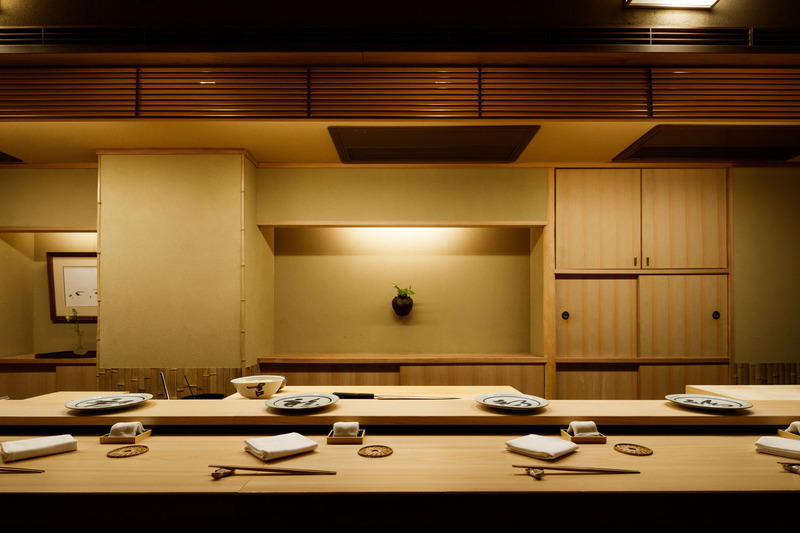 Chef Shinji Kanesaka sourced all the materials and designed and built the interior by himself beginning more than three thousand days of work with no holiday that continues through today – pure dedication to his first solo foray as a sushi master. 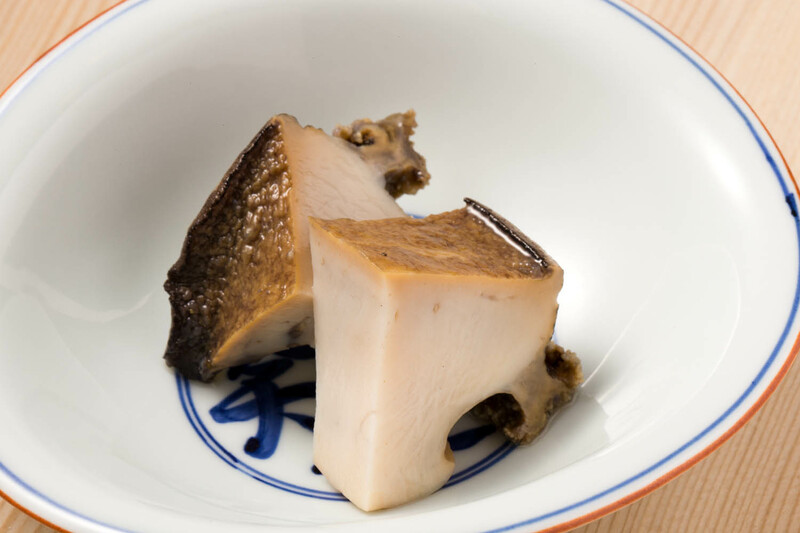 Kanesaka describes his cuisine as the real thing. While not afraid to use new techniques, he is quick to emphasize that something is not good simply because it is new. It has to be tried and tested, but most importantly, it has to taste amazing. And Kanesaka’s food tastes amazing. 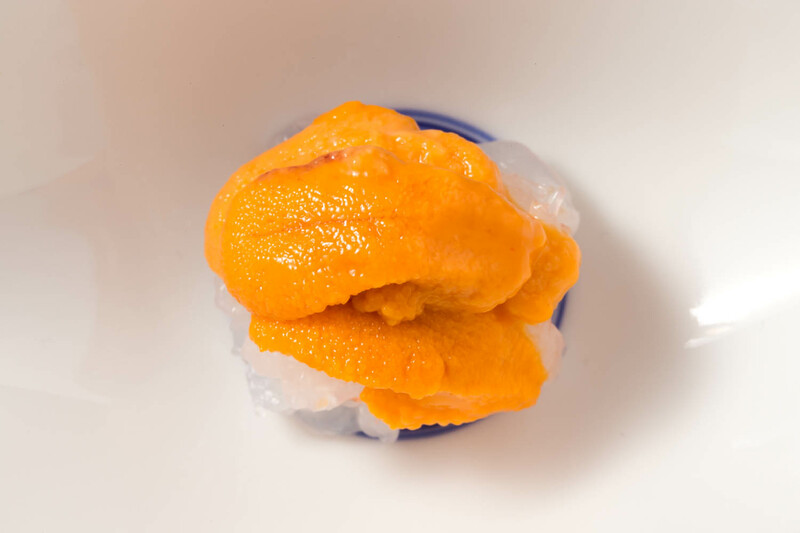 Steamed abalone that releases its delicious briny flavor with each bite; velvety yet plump slow-cooked monkfish liver; yellowtail curved around grated daikon with a dot of wasabi dipped in white ponzu; and the decadent combination of sweet shrimp and Hokkaido uni. 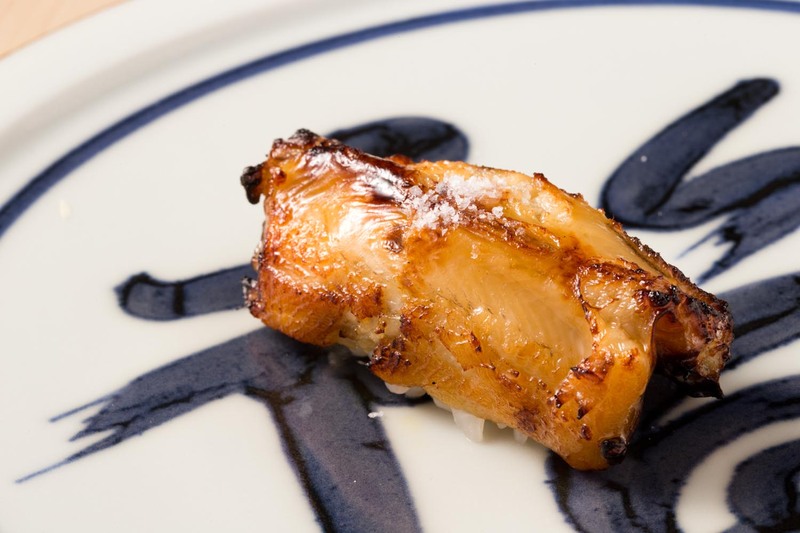 These dishes wow your taste buds and whet your appetite for the incredible course of nigiri about to start. Each season brings its own delicacies all beautifully prepared by Kanesaka. 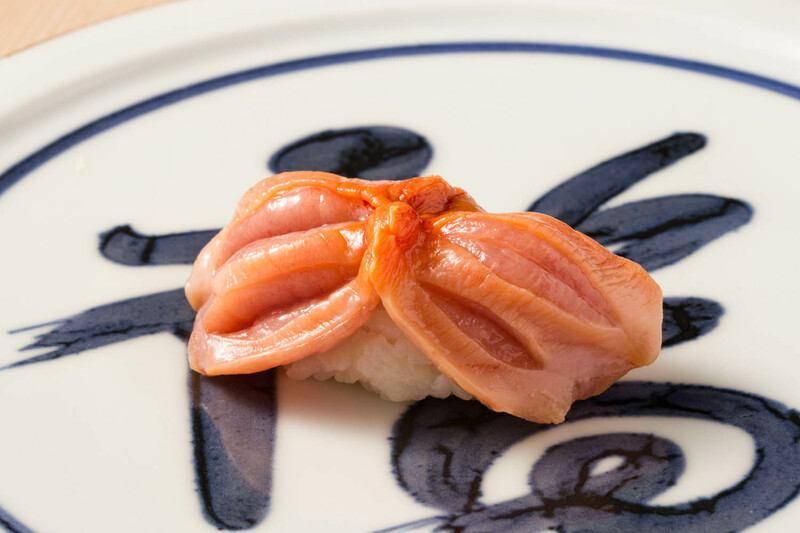 One you may be lucky to enjoy is the ark clam from Yuriage port in Aomori. 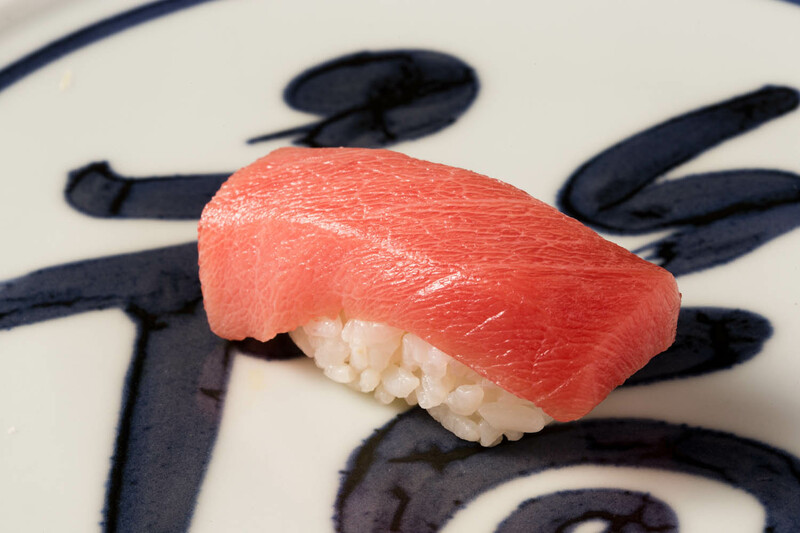 The knowledge of the flesh and skill of knifework is what opens it out to reveal perfect texture and deep ocean flavor in a presentation that looks like a beautiful flower. 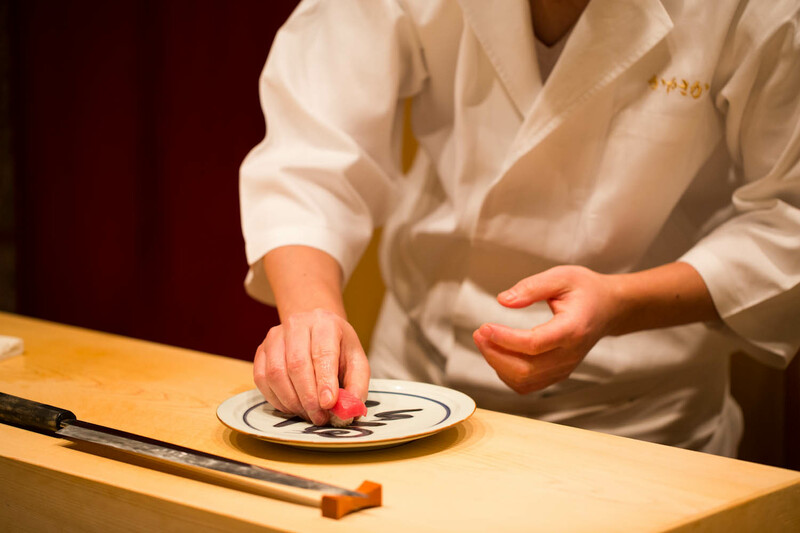 A brisk brush of sauce on each nigiri piece before it is gently placed on the large pottery dish in front of each guest...the sweetness that exudes from each mouthful makes you think the sauce contains sugar, but it is pure and simple soy sauce. That is the key to Kanesaka’s craft. He has developed his rice recipe with salt levels reminiscent of the ultimate Japanese comfort food – the rice ball known as shio musubi. The grains are al dente flavored only with salt and vinegar. The ratios perfectly balance and draw out the full flavor of each topping so that when that final brush stroke is given it all ends in a harmonious flavor that tastes slightly sweet to the diner. It's magical and delicious. Because the fish and shellfish are the stars, the chef focuses solely on procuring the very best fish. 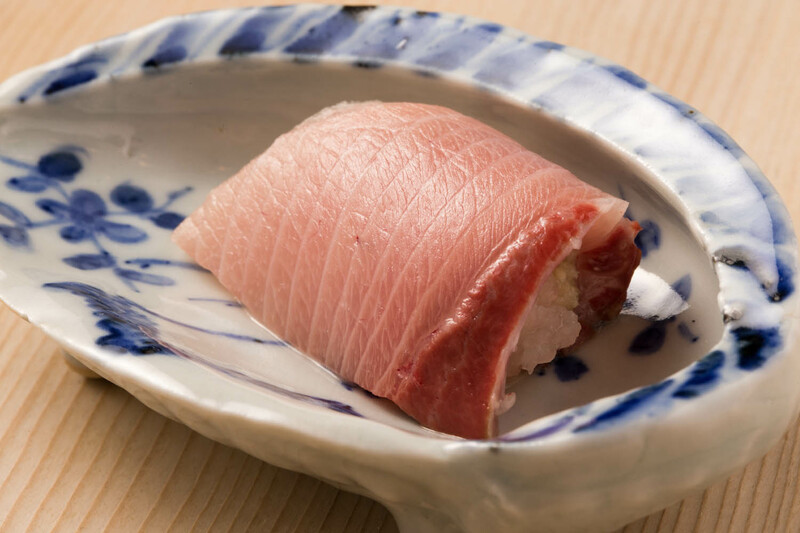 His years of experience have helped him ascertain where the most delicious catches are at which time of year, and his relationships with fishmongers at Tsukiji help secure the perfect pieces. 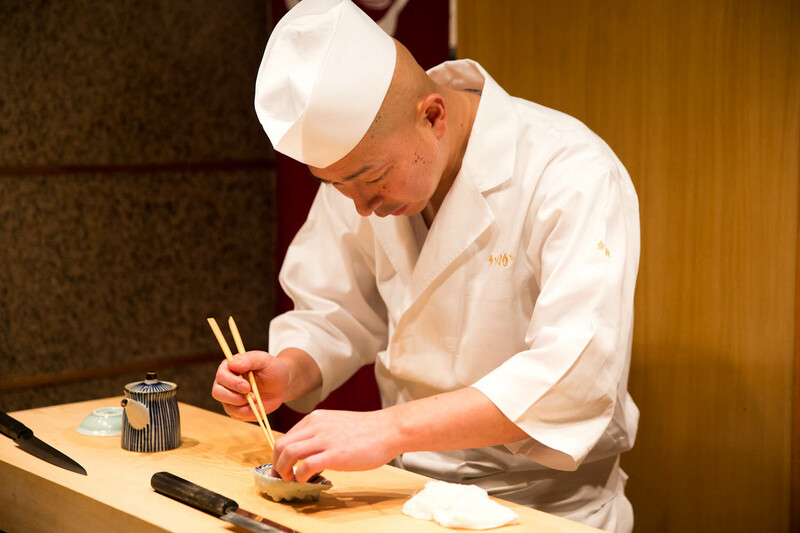 Then Kanesaka wields his knife to slice the mouthwatering portions to order. 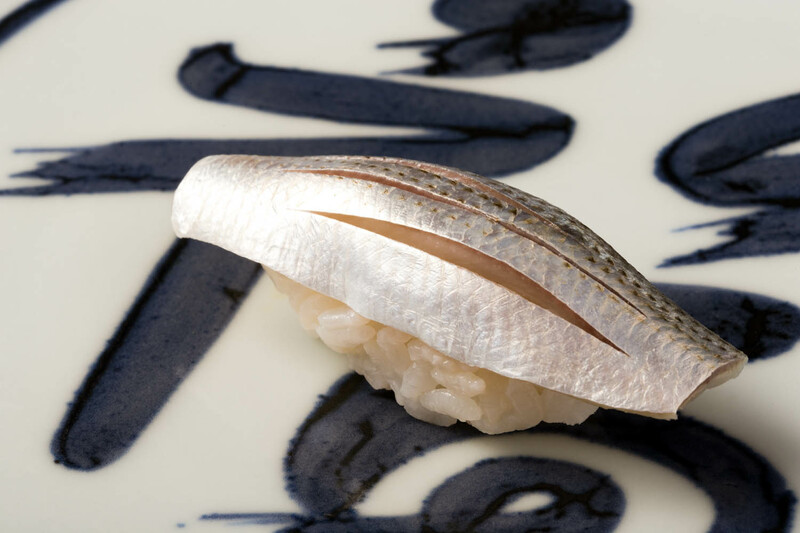 Kanesaka’s origins in a fishing family and the time spent with his grandfather clearly influenced him but that was very much the wild side in which fishermen break down the fish with their hands, a far cry from the precision knifework Kanesaka employs these days. Shinji Kanesaka is from Chiba Prefecture, to the east of Tokyo. His dream of becoming a professional baseball player was rudely interrupted when he encountered so many more talented players at his baseball-focused high school. So he turned his back on the sport and instead threw himself into cooking school at the age of 17. He talks about securing his first proper job at Kyubey in Ginza not fully realizing the magnitude of this great opportunity. A self-described country bumpkin, he had never even heard of Kyubey when he embarked on his apprenticeship. Perhaps it helped him from getting carried away with the moment, because he put his head down and worked so hard that after five years, at the age of 23, he became the youngest employee in the history of Kyubey to stand behind the counter shaping sushi morsels for customers. His most important lesson from this time was how crucial it is to remember your customers’ preferences. At the age of 28 and around the time his father passed away, Kanesaka opened his first restaurant. Talking about it clearly draws out so many emotions and his words just fade off. He went on to open a second location at 31 and then a restaurant in Singapore. Now at the age of 45, Kanesaka simultaneously exudes youthful energy and maturity. He speaks with conviction and his enthusiasm is infectious. A savvy businessman who credits his times of hardship for the ingenuity and motivation to get where he is now, he says when you don’t have money you have to use your brains. More than anything, the key to success in the sushi world is remembering that while you may be the sushi master, the ultimate master is your customer. In Kanesaka’s view, his staff are all members of the same family just with different roles to play. He is always thinking about his next move and putting people in the right places to make it happen. He visits high schools to give presentations about the life of a sushi chef, hoping to attract more people to the field. He feels no industry is as sought after and that the demand for his craft is still growing, but there are not enough talented people taking it on. When people join his family, the expectations are high and the going is tough – many leave along the way, but the individuals who stay are the best and most committed. Kanesaka is aware that his presence can sometimes stifle others' performance and prevent them from learning overall customer and time management, so he leaves the restaurant in his staff’s hands at the busiest time every year. He also knows that motivated staff perform better. This is the reason behind entrusting the female servers with all the tasting and pairing decisions for the champagne, sake, wine and plum wine served at the restaurant. 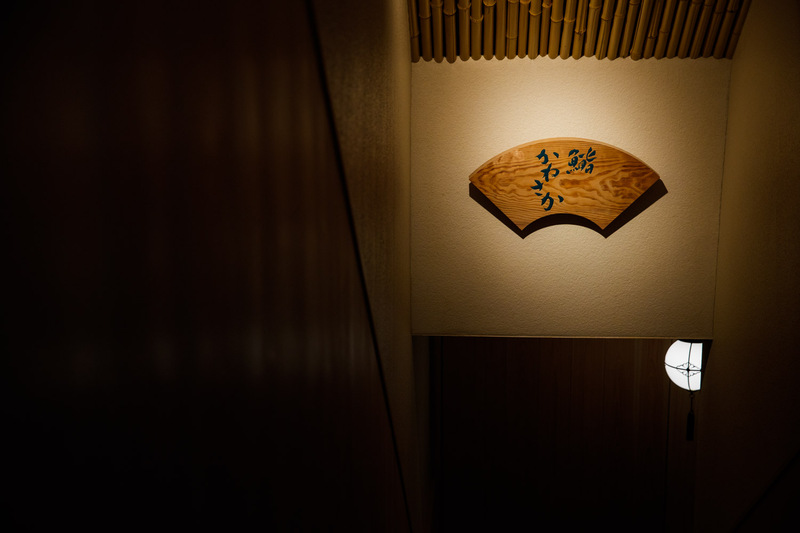 A calligraphy gift from former Prime Minister Hosokawa hangs on the wall boldly stating “Don’t forget yourself”. True to those words, Chef Kanesaka is a man of his convictions who will no doubt continue to grow his presence as the years go by. Exposed to beautiful tableware during the early years of his career, Kanesaka has carried that love with him to his own space, spending much of his savings on tableware. 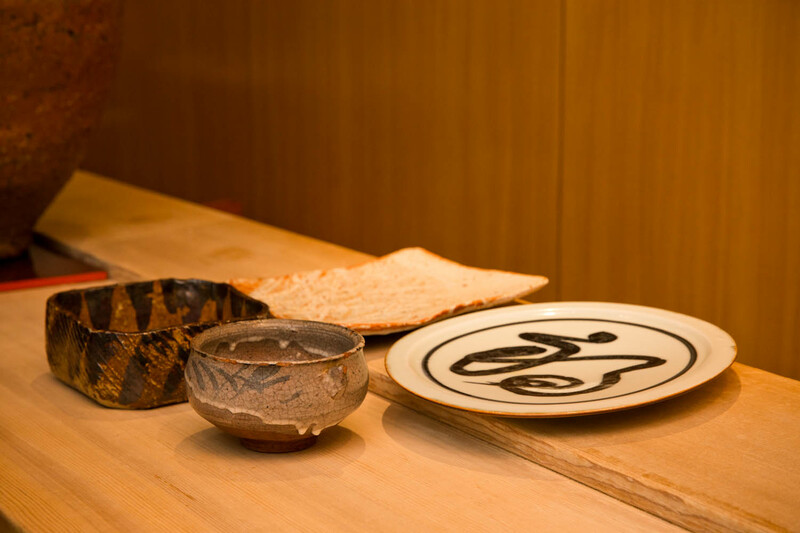 It is rare to dine off of tableware made by the famous artist Rosanjin, but you'll find several of them right before your eyes. Each handmade piece has a slightly different character and any cracks or chips have been repaired with the traditional kintsugi technique – a touch of gold adding even more interest to each item. The calligraphy on the small dishes for dipping soy sauce was drawn by Chef Kanesaka; he has made it a tradition to create dishes inscribed with the animal character for each year of the Chinese zodiac. There are lovely round plates with the character for fortune, dishes in earthy tones with eye-catching textures, and bowls with the cream-colored glaze suspended mid-drip. 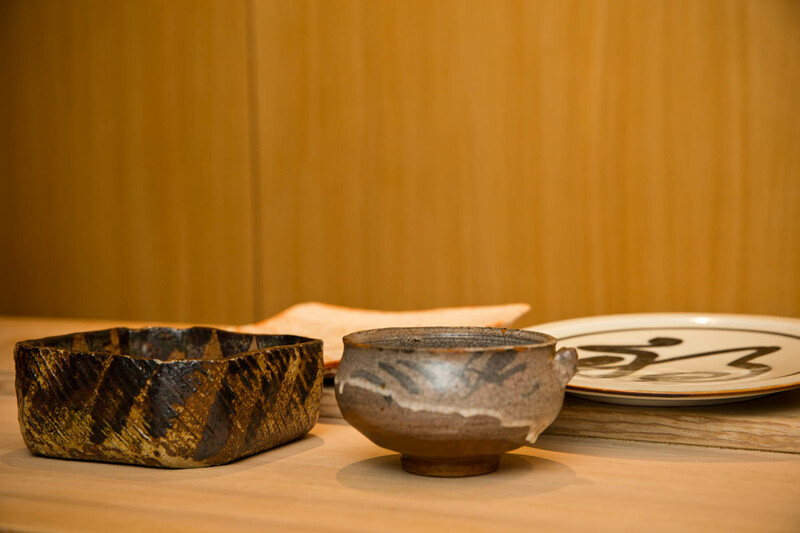 All have been collected over time by the chef himself, added to occasionally with pieces from the store with his favorite collection in Nihonbashi.